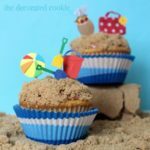 These easy crab cupcakes are a cute Summer dessert idea, perfect for pool parties, beach parties, BBQs. This week I’m devoting to cupcakes. 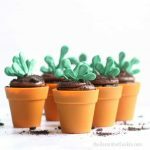 Specifically, I’m sharing Summer cupcakes ideas. 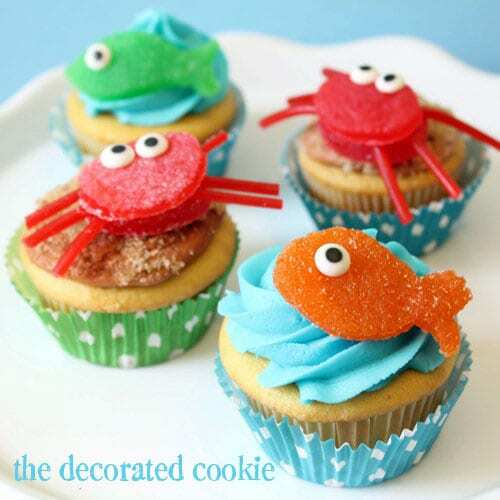 Even more specifically, I’m sharing easy crab cupcakes today. I’m devoting 5 separate posts to them because gosh dang it, I like them and they each deserve some spotlight. 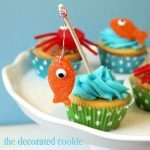 If you need more easy summer dessert ideas, these starfish cookies are very simple to decorate using sprinkles and candy eyes. Having a BBQ? Try these mini burger and fries cookies. I made all these in March when there was still a chill in the air, but I’m a beach person. I could put myself in the mindset. I’ve mentioned this a jillion times, but my family is a beach family. My grandfather was a lighthouse keeper on the Jersey shore, and my grandfather rescued lots o’ people as a lifeguard. 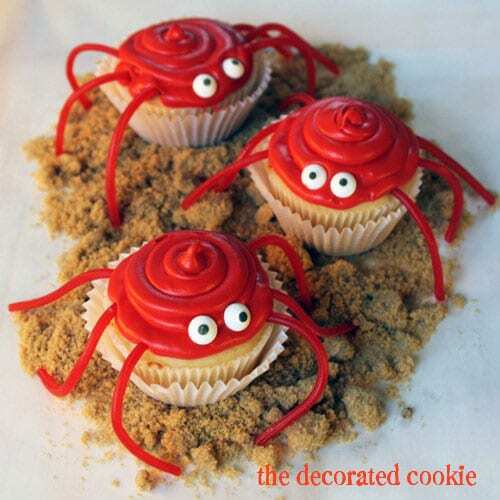 Yep, I grew up with sand in my peanut butter and jelly (no, really, that’s what we’d pack for the beach and it always had the crunch of sand, that and little cans of apple juice that got coated in the stuff, too) and crabs pinching my toes, so these crab cupcakes are just about right. 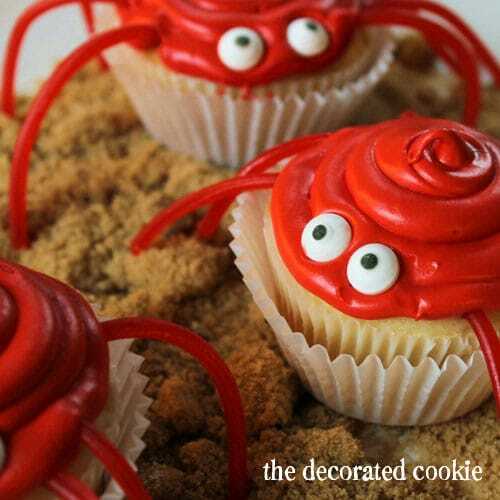 These crab cupcakes just so happen to be super easy to make. You need cupcakes, red frosting, candy eyes and Twizzlers Pull N’ Peel licorice. With the legs in the way, I found it best to pipe the frosting on with a decorating bag. You can probably also use a Zip-top bag with the corner snipped if you don’t want to get all technical. 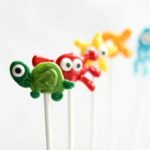 If you like these, you might also like these gumdrop crab and fish cupcake toppers I made last year. 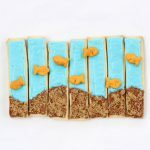 Be sure to follow me on Pinterest for a ridiculous amount of food craft ideas, too. 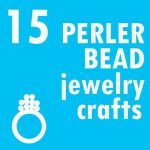 Find the decorating supplies at the craft store, or click the links above to find on amazon. 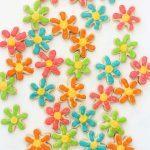 You can find licorice lace online, or, use the Twizzlers Pull and Peel, found in the supermarket. Prepare your cupcakes and frosting according to the recipes. Tint the frosting red with the food coloring. 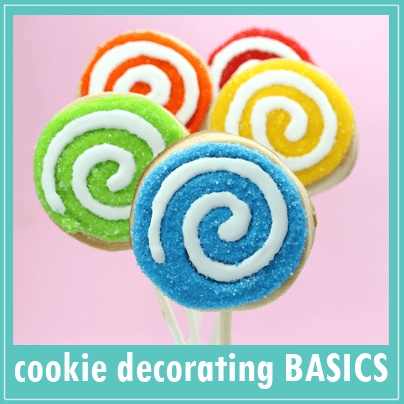 Prepare a decorating bag with the tip and fill with the red frosting. Snip the licorice lace into pieces about 3 inches long. You’ll need six for each cupcake. 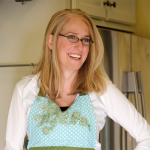 Insert the ends of three pieces of licorice lace on each side of the cupcake by pressing gently into the top of the cupcake at the outer edge. 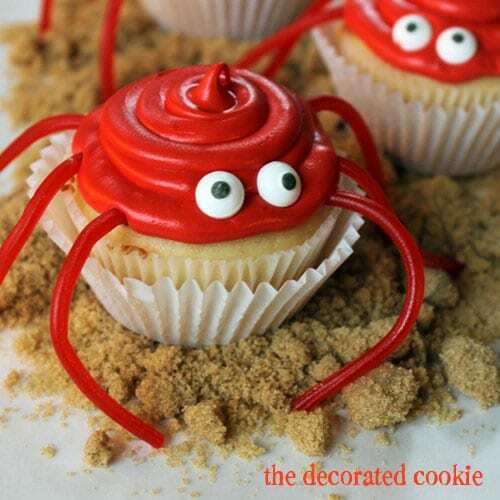 Pipe red frosting in a circle on top of the cupcake and place two candy eyes at the front. oh my gosh those are so cute! 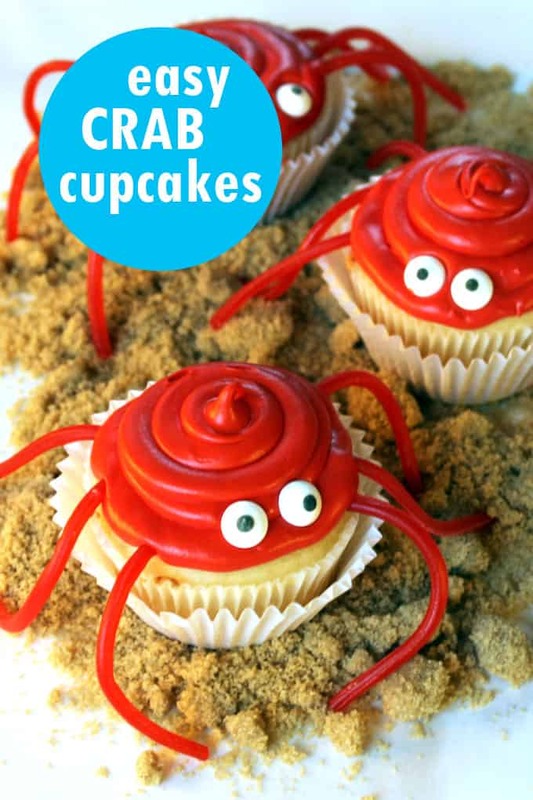 i totally just did a crab crack post on my blog and these would be perfect! SO cute, Meaghan! Love ’em! These cupcakes are adorable!! Perfect for summer. Thanks for sharing Meaghan! 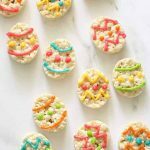 These are just too cute…will have to share! So easy and so cute. Pinning! These are so cute! I will keep these in mind for any summer or beachy parties in the future! These are just SOOOOOOO cute! It’s amazing what a coupla eyes will do, isn’t it Heather?? My favorite decorating “tool”. You continue to amaze me with your creativity my friend! ADORABLE! 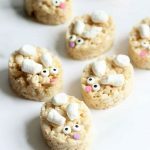 These are the most adorable thing i have seen in a long time!